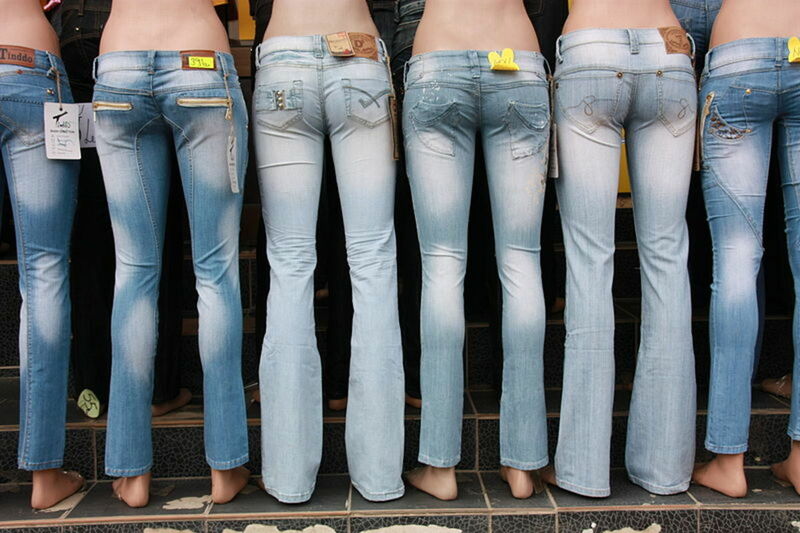 Women's designer brand jeans are a hot target for clothing counterfeiters. 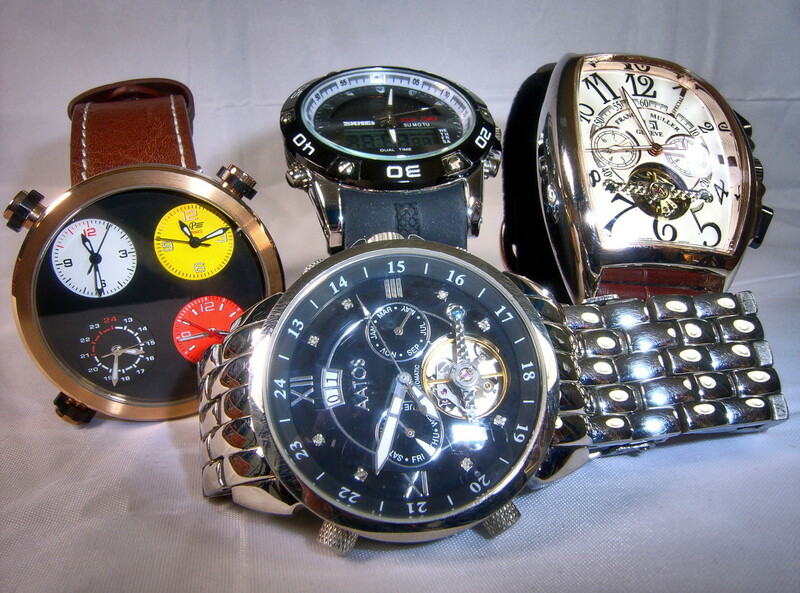 This guide will help to spot the fakes, find a bargain & step out in style. We'll be looking specifically at jeans from some premium labels & showing you the correct way to identify if the jeans are real. A common problem Women find is they don't know what a real designer jean looks like. This pictorial guide has actual photographs from genuine jeans, so you have an accurate base to start from. Fake designer brand jeans are spotted by examining where the counterfeiters have failed to reproduce coloring, style or security devices. It's not enough to find one problem, but rather finding numerous flaws in the clothing which 'adds up' to help you authenticate the jeans. Premium brand labels spend resources in delivering a product which is set to a standard in manufacturing quality. This Quality Control, or Quality Assurance [QC / QA] ensures every pair of jeans they produce is identical, within a particular product line. This commonality means there are 'clues' within the jeans themselves that point to their being genuine. Counterfeit jeans are made as cheaply as possible using poor quality materials. With limited budgets to spend on reproducing the internal look & feel of the jeans, the fakers try to mimic the outside of the style of the garments, without worrying about copying what would be inside genuine jeans. 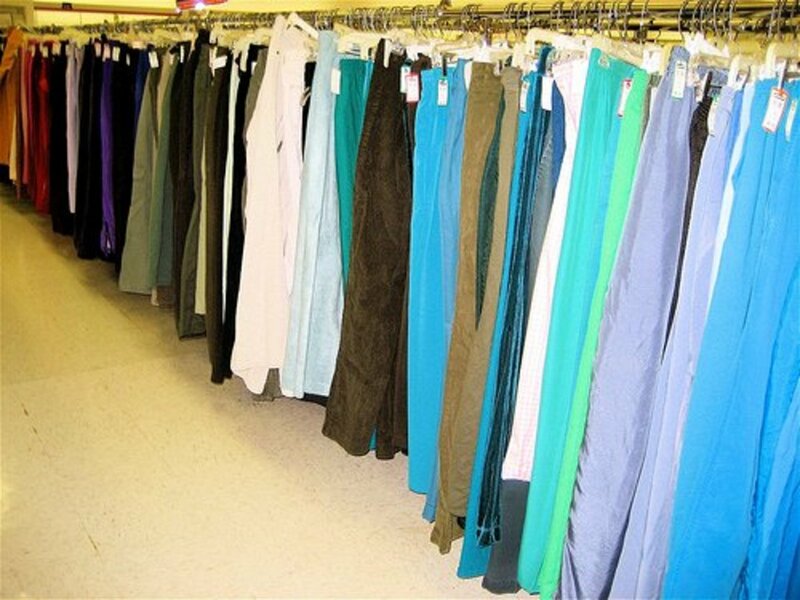 While every manufacturer will have different ways of producing their garments, they generally follow a common structure. Inside labels & panels for the style & size of the jeans will be made with small, close stitched threading. It takes longer to stitch threads close together. This is a sign of quality. A fake label would have longer stitched threads & longer spacing between them, meaning the garment could be copied faster. The stitching on a genuine pair of jeans will have uniform construction. All inside & outside stitching will be very neat. Manufacturers may have at least 1 or 2 inside labels denoting style number, or style code. 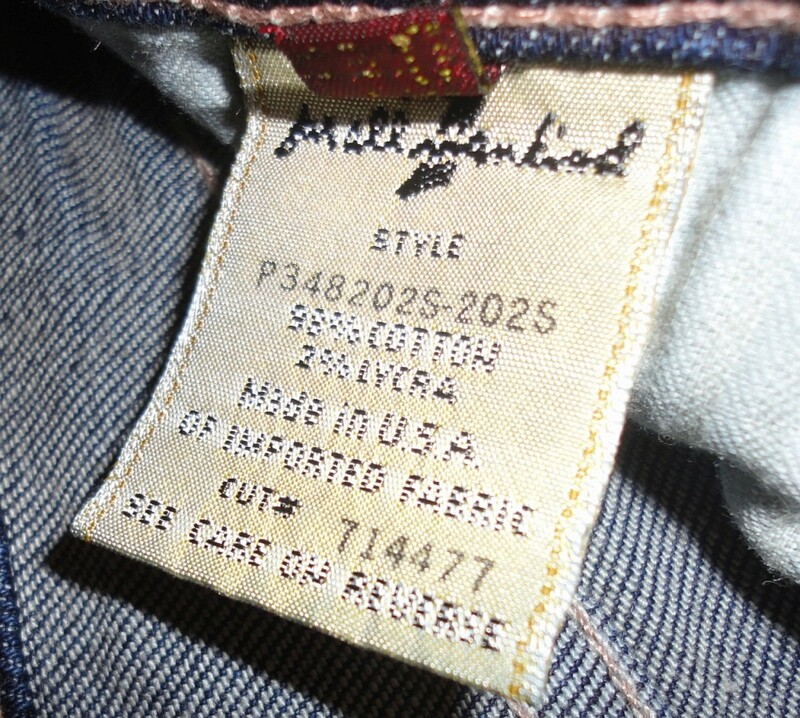 Many labels do not stitch these numbers into the tag. Rather, they are printed onto the tags using screen printing. This screen printing process takes longer & expends resources the counterfeiters do not have. So fake jeans may have numbers & style codes stitched into the tag. By examining the back portion of a tag, a screen printed style code wont have any stitches directly behind it. It would be plain, with no stitching showing through. Another sign to having genuine jeans, is the use of propriety fonts by the manufacturer. In the photographs to the right, one will note the number 2 is shaped almost like a swan. The font is rounded & well made, with attention to detail paid within the tiny stitching. The second photograph shows the number 3. Again, look how the manufacturer has paid great attention to curve the number. Counterfeit jeans would not have this attention to detail, & could be stitched with straight rigid lines. The numbers may be thinner & not well rounded or curved as in the examples. Micro Stitching is a security device & anti-counterfeiting measure used on designer garments. This manufacturing process uses high precision machinery to stitch tiny, near microscopic threads featuring numbers or letters into tags or labels on the inside of garments. Due to the high costs & technical expertise needed to employ such a security device, counterfeiters would not have the ability to reproduce or copy such methods. The Micro Stitching is generally placed on top of a metal foil strip, & can be found near bottom of a tag label. One may need a magnifying glass to closely inspect the Micro Stitching. 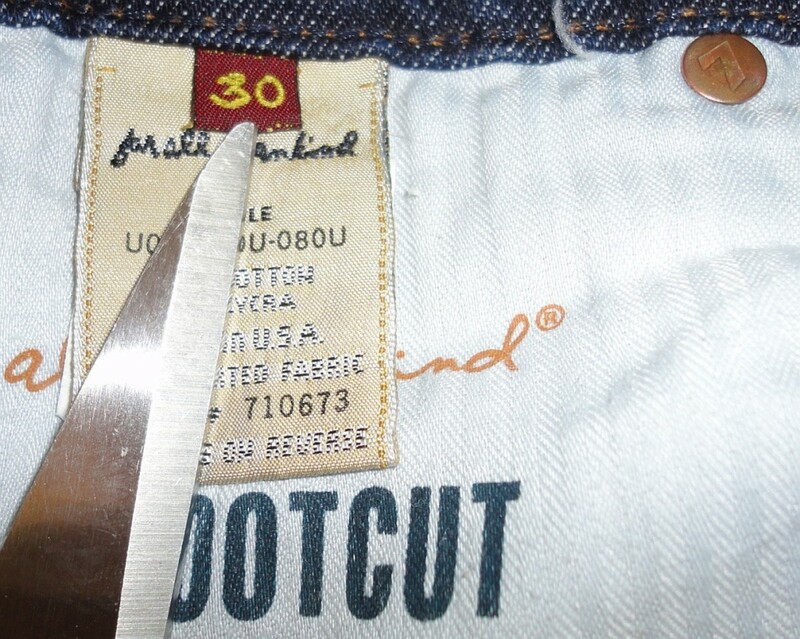 The following Two photographs show a close up of Micro Stitching on foil material found at the foot of a label tag. The lettering printed within them is tiny, & almost invisible to the naked eye. Jeans featuring this device would almost certainly point to them being genuine. Not all manufacturers use Micro Stitching on their labels. 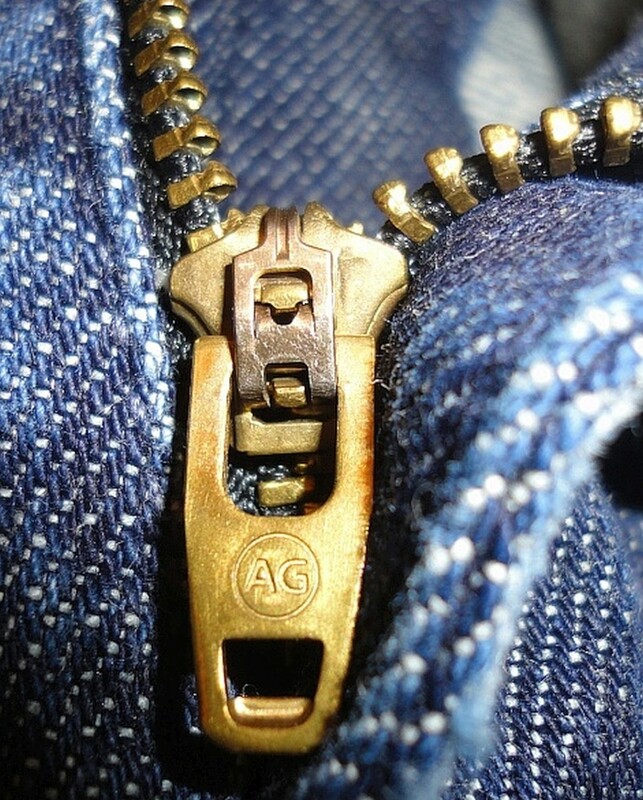 So another clue to authenticating genuine brand label jeans would be to look closely at the zipper hardware & rivets. Rivets on real jeans would almost certainly carry the logo or name of manufacturer on them. In most cases, there will be the symbol, or mark on the inside rivets. 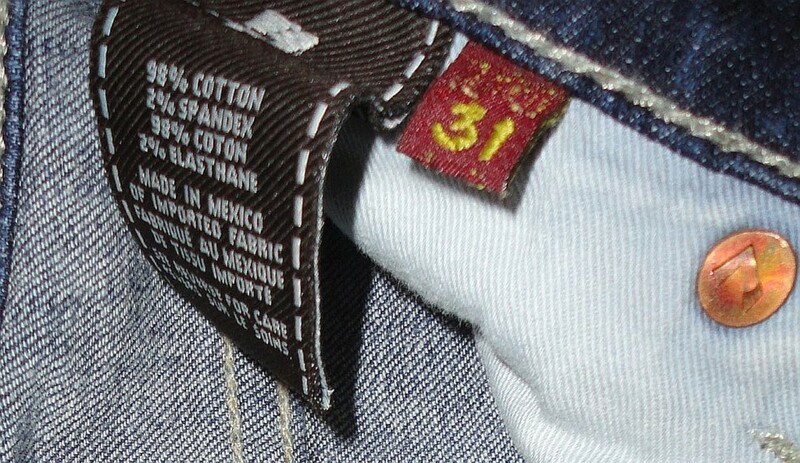 Another key clue to the authenticity of jeans would be on the zipper pull tab & slider. The mark of the manufacturer, or their logo, could be on the zipper. Fake jeans would not have this, & would be an unstamped blank zipper tab. A famous & genuine example of this would be YKK Fastening. The zipper tab would have either YKK stamped on front, but also on rear of the slider, which fastens the zip. To the right are examples of genuine zipper tabs & sliders. Notice how the brand manufacturer is clearly shown on the zipper pull tab. 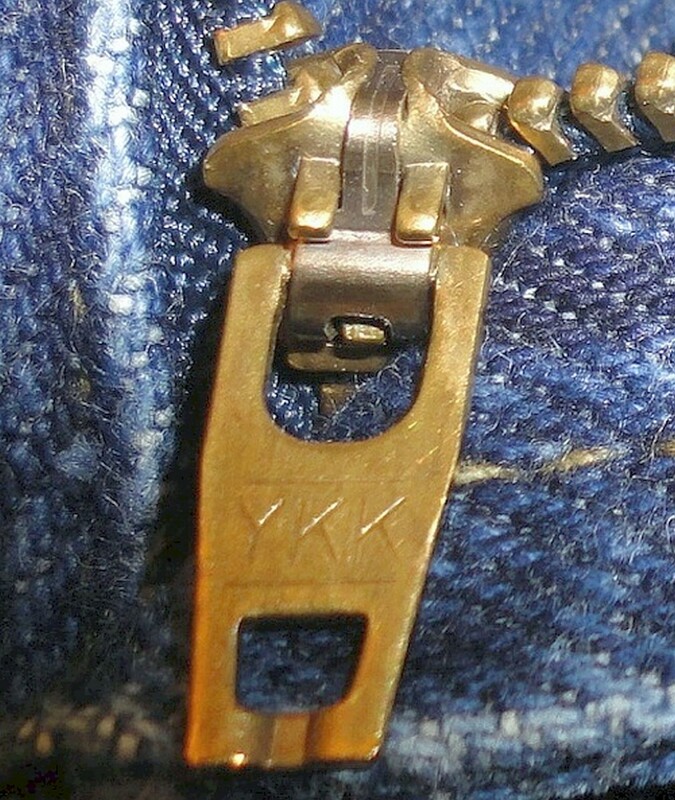 Using this information, one would certainly expect a genuine label brand of jean to have either YKK zipper or their own mark or symbol on the tab. If the tab slider is blank on front, then look on the back of the slider. YKK would be stamped there, too. Brand label jeans are made with superior quality textiles. The weight of the fabric would feel heavier, since it is of a thicker yarn. Fake jeans are often made of much cheaper & thinner material. The coloring could appear strange, or have dye runs & discolorations on the denim material. 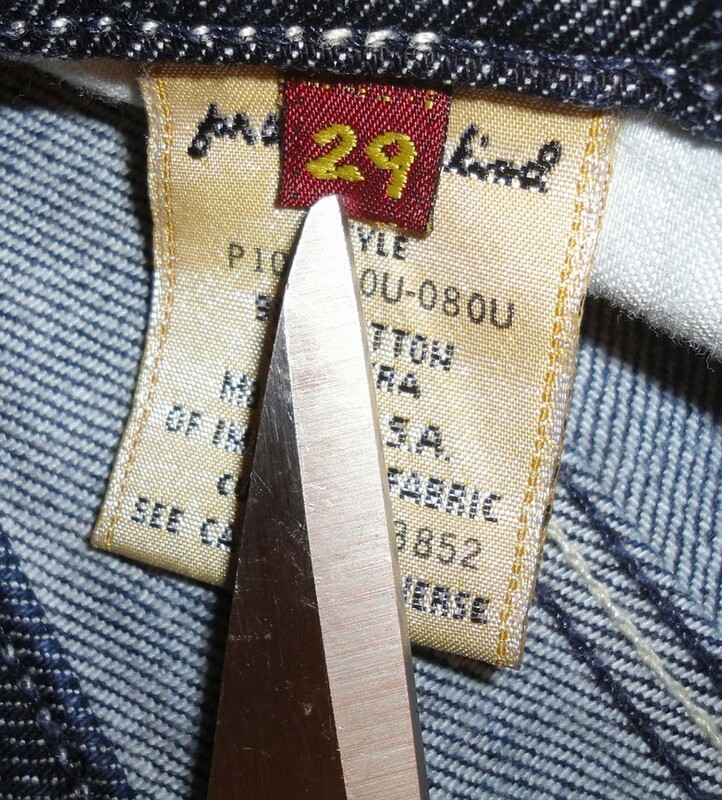 Some manufacturers of designer label jeans have common cut lengths to the jeans. This manifests itself as having an inseam length of around 34.5 Inches.This is so the jeans can be tailored to suit the owner perfectly. Another commonality may be the width of the outer end of the jeans, most commonly referred to as the 'Cuff'. For many manufacturers, this would be an exact width & would be the same amongst a range of a particular style. If buying a pair of gently worn used jeans on Ebay for example, then the inseam length may have been altered to fit the previous owner. New jeans, however, would have a common cut length. Most sellers of genuine label jeans would include this information on the listing. Fake jeans, as being made as cheaply as possible, would not have the additional length on the inseam, as this would increase their costs in additional materials. It's a minor clue as to authenticity, but not all manufacturers have extended lengths. Are there at least 1, or additional, labels & tags inside the waist area showing size & style codes. The more tags there are inside, point to authenticity. The style code or cut numbers are generally printed onto the tag, rather than stitched into the tag. Do the labels feature metal foil security devices with tiny Micro Stitched lettering. Having such a security feature, points to authenticity. Is the zipper pull tab stamped with either YKK, a manufacturer logo, or lettering. If no symbol or lettering appear on front zipper, this could indicate counterfeit jeans. Are all inside stitches true & of high quality. There should be no under-runs, over-stitching, or errors. Does the denim feel heavyweight; alternatively, do they have a superior soft feeling to the touch. Checking the jeans for a few of these 'clues' should indicate that the jeans are real, & not counterfeit. It takes merely seconds to quickly verify such features & tags are present on the jeans. what information appears on the label of denim jean? 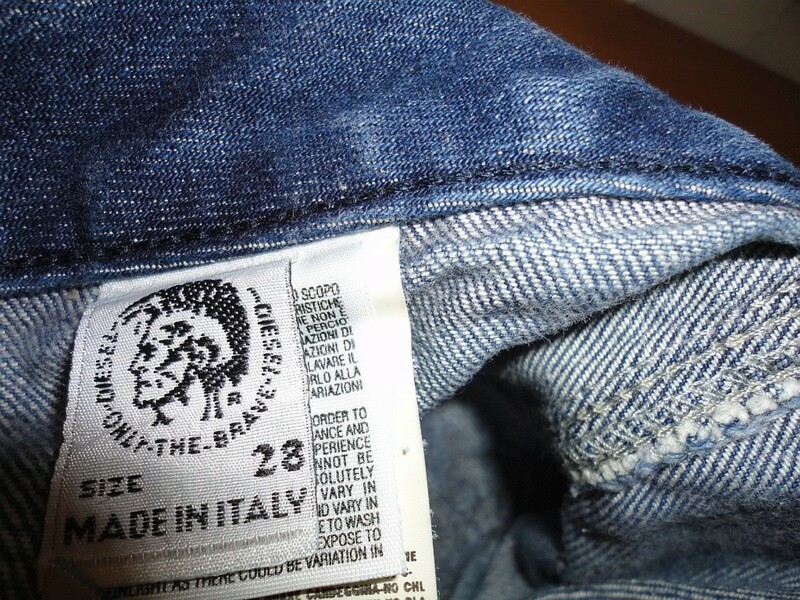 This article contains many indications of what information may be on the denim jean labels of authentic designer jeans. Micro stitching on the labels; a particular font used on a certain brands label; serial numbers printed onto labels, rather than stitched; the number of labels attached (The more labels is a good clue of authenticity); Inside labels will have small close stitched threading. 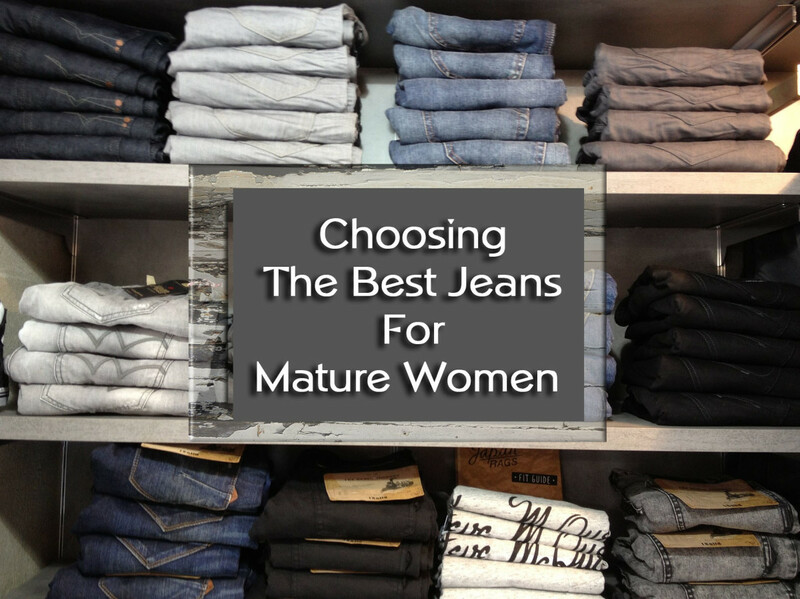 All of these features, & more, may be indicative of having a genuine pair of designer jeans. There are so many brands of denim jean that it would be difficult to tell which particular security or design feature is on them all. This article gives a starting point with many features which are present in some different manufacturers. Read through the complete article, it will give indications & clues of what information would be on a genuine pair of designer label denim jeans, not just the labels. Do Joe's Jeans have two small white fabric tags each with a red line on them? Is this a validation for the brand, or a way of preventing a fraudulent return to Joe's boutique? I purchased jeans from TJ Maxx, but don't want to wear them and feel embarrassed if they're authentic but disfigured by TJ Maxx for distinction purposes. Please advise. All the other markings and requirements for authenticity are there. Unusual markings on inside tags may be a way for a particular brand to mark the item as having a small defect, or failing other Quality & Assurance [Q&A] checks - most brand labels use Q&A to ensure consistency of the product. This prevents fraudulent returns of items to the main boutique stores. 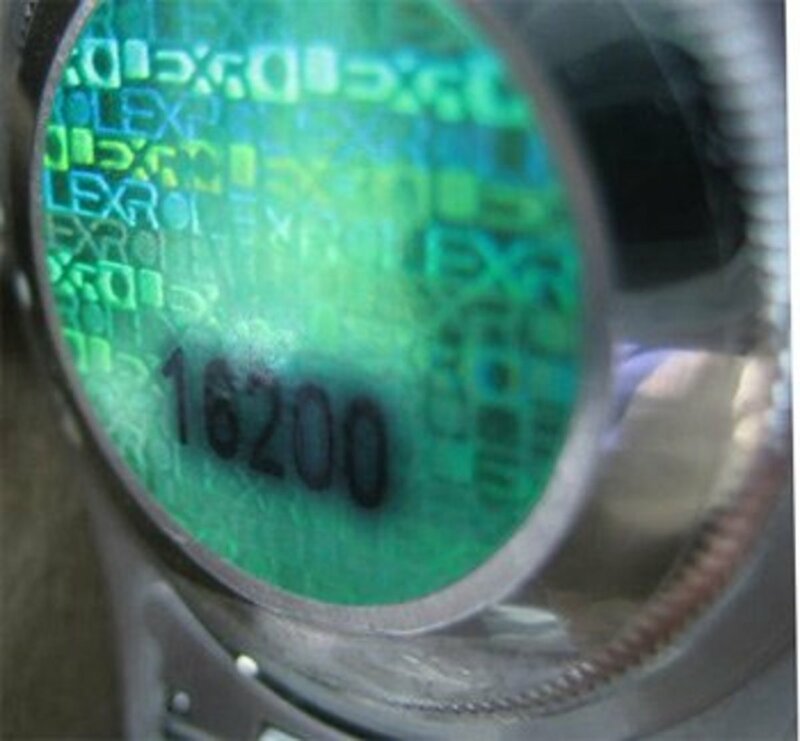 The manufacturers employ various means to mark the inside of items to show that they are, "factory seconds." Such marks could include: Permanent red marker pen stripes; X marks; lettering inside labels; printed symbols. 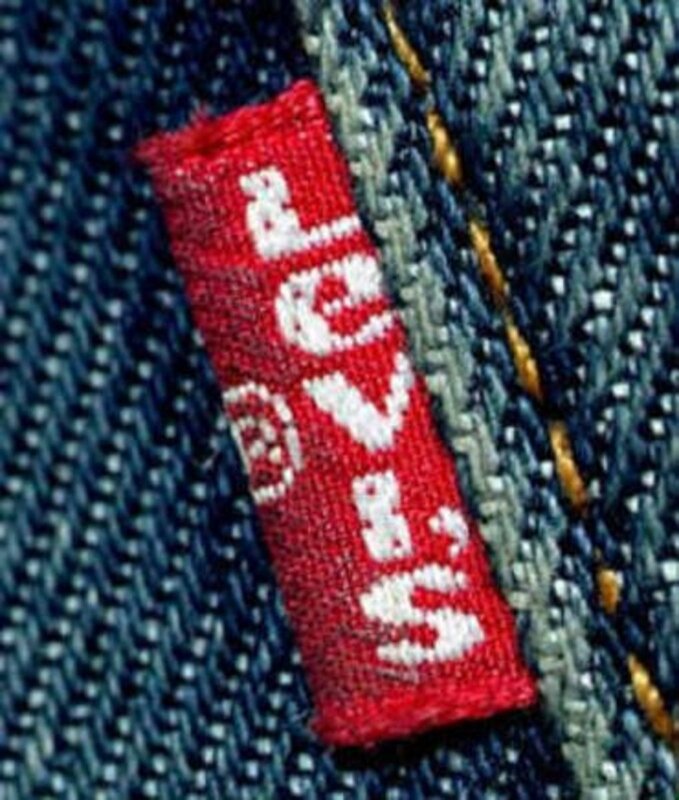 Levis Jeans use a joker symbol from a deck of cards printed onto the inside label of their jeans to mark them as factory seconds. Other manufacturers have the back outside label ripped or removed. The main aim of these markings is to prevent factory seconds - and other items that have failed Q&A - from being sold as perfect items to the public. Factory seconds can be bought wholesale and resold to retailers specialising in those products at a discount to the regular pricing. Stores such as Winners (Canada), TJ Maxx (USA), TK Maxx (United Kingdom & Europe), and many smaller online wholesale marketers deal in these types of products sold directly to the public. 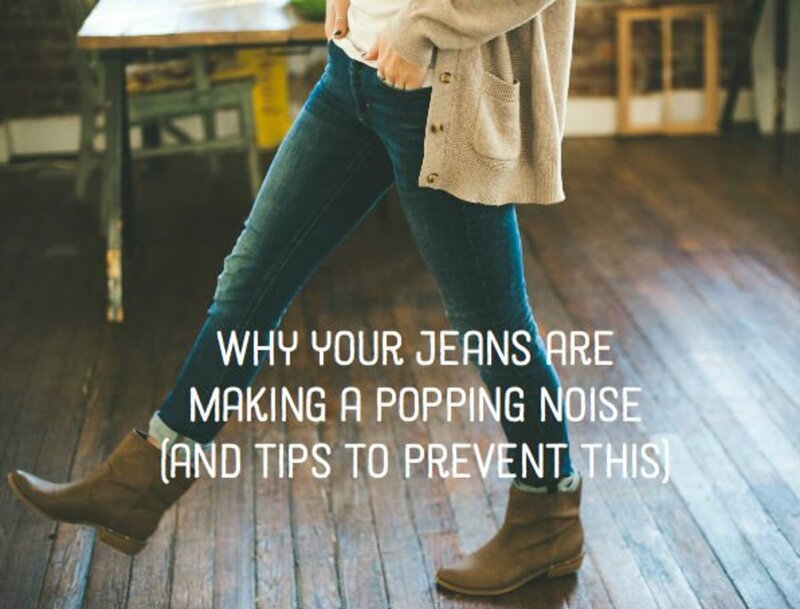 Why Do My Jeans Make a Popping Noise?